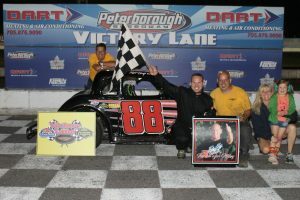 Just past the halfway mark of the month, fans saw some of the hottest action of the early season – Saturday, June 16th – at Peterborough Speedway. 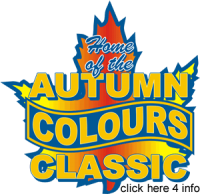 The APC Pro Late Model Series was joined by the home track Battlefield Equipment Rental Bone Stock and Trent Lakes Complete Plumbing Renegade Truck divisions; along with the Trailers Plus Ontario Legends. 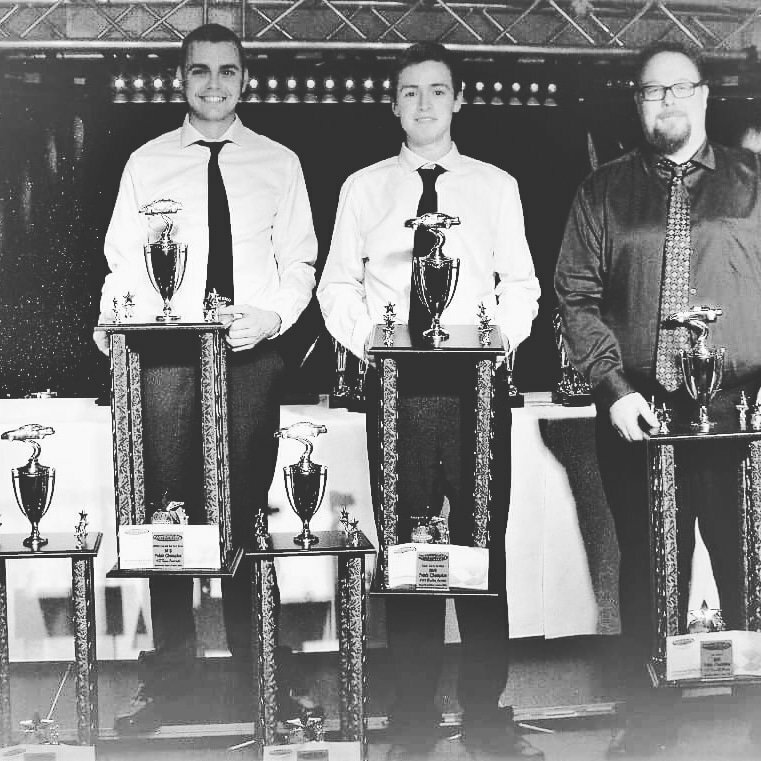 After having his track record qualifying time eclipsed by upstart Treyten Lapcevich, Brandon Watson set his sights on a bigger prize. 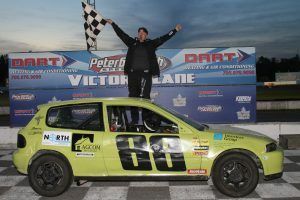 The Stayner, Ontario native – who won the 2017 APC Pro Late Model Series tour championship – took the checkered flag in the Hy-Grade Roofing 100. Junior Farrelly, Jake Sheridan, Andrew Gresel and JR Fitzpatrick rounded-out the top 5. Full race details can be found at www.apcracingseries.com. 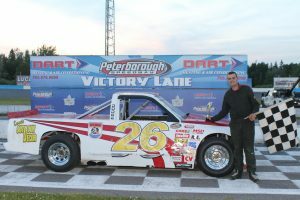 A 15 lapper for the Trent Lakes Complete Plumbing Renegade Trucks was the first of the home track feature events, with Carrson Hennessy and newcomer Jeff Dalley on the front row. Hennessy took the lead early, as Ryan Oosterholt moved into the runner-up spot with a hat-track of laps on the scoreboard. 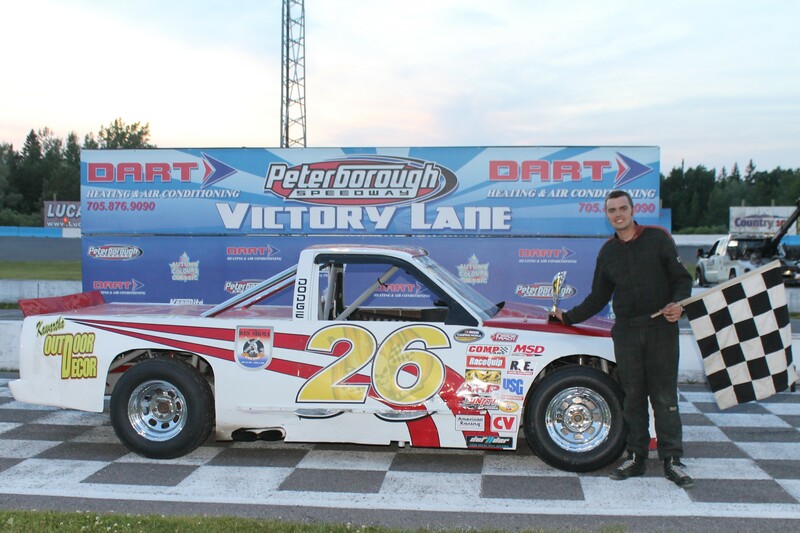 The former track champion in the Mini Stock and 4Fun/Bone Stock divisions showed the others the quick way around, wheeling the #26 machine to his second straight truck division win. Hennessy, Dalley, Terri-Anne Whittern and Bill O’Hara completed top 5. Oosterholt had a clean-sweep of Renegade Truck action, taking both qualifying events. 26 starters came to the line for the 20 lap Battlefield Equipment Rental Bone Stock feature, with Chris Tubman and Jeremy Kelly leading the pack. Tubman led early, with Sean Kennedy hot on his tail. Reigning track champion Kelly took-over the runner-up spot as the field started to catch the tail-end of the field with 10 laps complete. The race’s only yellow flag flew a lap later, but Tubman was untouchable on the last race of the track’s spring schedule. Ryan Oosterholt slipped past Jeremy Kelly for 2nd, with Shawn Solomon and Kennedy finishing out the fast 5. Kennedy and Oosterholt each picked-up a pair of heat race wins, with Tubman and Jeremy Kelly taking the others. With Paul Pierik and Brandon Thurlby brought the 26 Trailers Plus Ontario Legends Series starters from the staging area for their 25 lap ‘A’ main. An incident on the initial start brought out the yellow flag. Pierik took the lead on the race’s second attempt, with the field running high and low to gain an advantage. Wesley Cuthbertson moved into the top spot with 6 laps complete, with Cole McFadden slipping into second a lap later. Defending series champion Matt Haufe took the lead just before the halfway mark and started putting slower cars a lap down with 15 circuits complete. 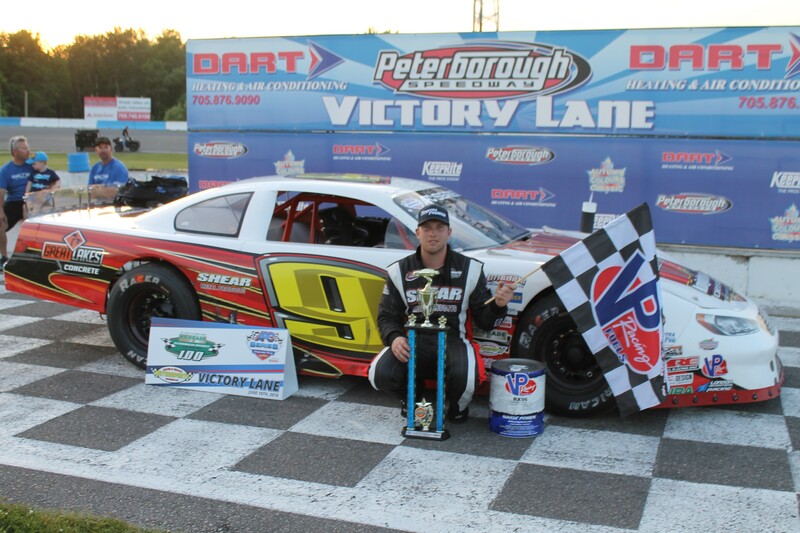 A late race yellow bunched the field but couldn’t keep Haufe from his first Peterborough Speedway win of the year. Kevin Foisy and McFadden followed Haufe across the line. 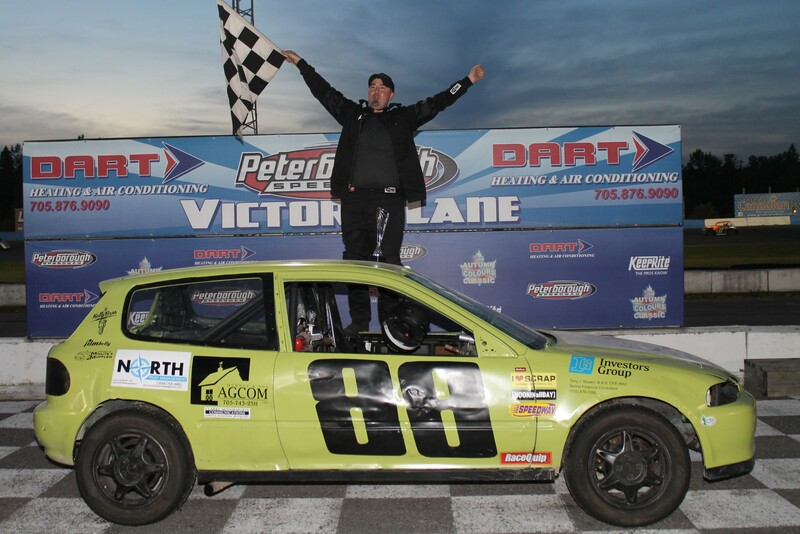 Adam and Wesley Cuthbertson finished 4th and 5th, Haufe, Andre Fiorini, Terry McClelland, Adam Cuthbertson, Cole McFadden and Paul Pierik claimed the Ontario Legends preliminary rounds. Bullring bullet points: John Cunha of Milton, Ontario left a great night of racing at Peterborough Speedway with a $1070 payoff from the 50/50 draw…Colin Parkes made hard contact with an infield retaining wall during the 2nd Bone Stock qualifier and while the car was heavily damaged, the driver was unhurt…Mike Feeney climbed behind the controls of Mitch Cook’s back-up car that was renumbered with the aid of racer’s tape, while Brandon Feeney took advantage of a night off for the Late Model and Super Stock divisions to run the #68 of Doug Strickland…For the first time this season, the Bone Stock division didn’t need a last-chance qualifier to set the feature race line-up.